I got an awesome tweet at the Expert Beginner twitter account the other day. Omer had one of those “wow, I can’t believe I never thought of this myself” ideas. @ExpertBeginner1 how are you with anonymous contributions? open DMs? Yes, please. Up until this point, I have run this account as a solo effort. But I certainly have no exclusive claim to some of the world’s worst wisdom delivered with some of the world’s most confidence. So I am now accepting submissions via twitter DM. Please send them my way, and I will curate, catalog and queue. As my work becomes increasingly remote and reclusive, I need all the fodder I can get for the account. In case you followed this blog only recently, I’m talking about a phenomenon that started with this post. You know that one job you had once? It lasted a year and a half, but seemed like 12. It dragged because of the senior principal architect on the project. Courtesy of random name generator, we’ll call him Dale. Dale eschewed popular frameworks because he once wrote this combination ORM-MVC platform back in 2004 and, in his mind, it’s still chugging along nicely. This framework set the world record for depth of inheritance hierarchy at 124, per your last count. Every time you wanted to add a column to some table in a CRUD app, Dale would have to come over and perform open heart surgery at your desk while you tried to read XKCD on your phone without his notice. But should you ever go off on your own and download something like an actual ORM, Dale would go completely nuclear. In Dale, we have a classic Expert Beginner. You put up with him for as long as you could before moving on to greener pastures, but you’re pretty sure he’s still there, jamming his tortured framework into some already-doomed CRUD app. Specifically, I started to think about how the relatively simple profile of the Expert Beginner has aged. In the years between his birth on my blog and the recent completion of my book, Developer Hegemony, I’ve spent a lot of time and mileage consulting. In particular, I have done a good bit of training and management consulting following a stint as a technical executive. This has furnished me with the office politics equivalent of language immersion. I began to wonder about the fate of the expert beginner in the world of developer hegemony that I foresee. I mention him some in the book, kind of in passing. But what will actually come of him? First things first. Let me define what I mean by “developer hegemony” as succinctly as possible. This is no small feat, given that I just wrote a 400-ish page book on the subject. But if I had to break it down to a sound byte, it’d be this. 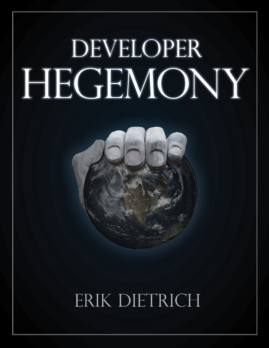 Developer hegemony is the surprisingly unconventional idea that software developers should cease to be the least influential people in the business of software development. If you take companies with significant software development organizations, software developers do line level labor. In the ranks of slightly more influential, you have the P* Manager set of people: project managers, product managers, program managers, and process managers. Apologies if you manage a different P and have slipped my mind. In the even more influential set, you have (and pardon my bluntness) actual managers in the form of organizational line managers. Pass through some layers of this and eventually, you arrive at executives and owners. In the world of developer hegemony, we’ve stopped this wildly inefficient and bureaucratic approach to making software. The developers will leave organizations like this as employees and turn around to deal with them as agencies that specialize in automation and efficiency. All of those logistically-oriented people deal with us as clients, rather than bosses, and we dictate the terms and arrangements by which automation happens and software gets written. As I described the Expert Beginner those 5 years ago, you had relatively simple prerequisites for having one in place. Basically, a company hires him and he hangs around long enough to claim the “alpha techie” role by default. Eventually, the company or department grows and places unfortunates under his tutelage. This sequence of events requires two things. 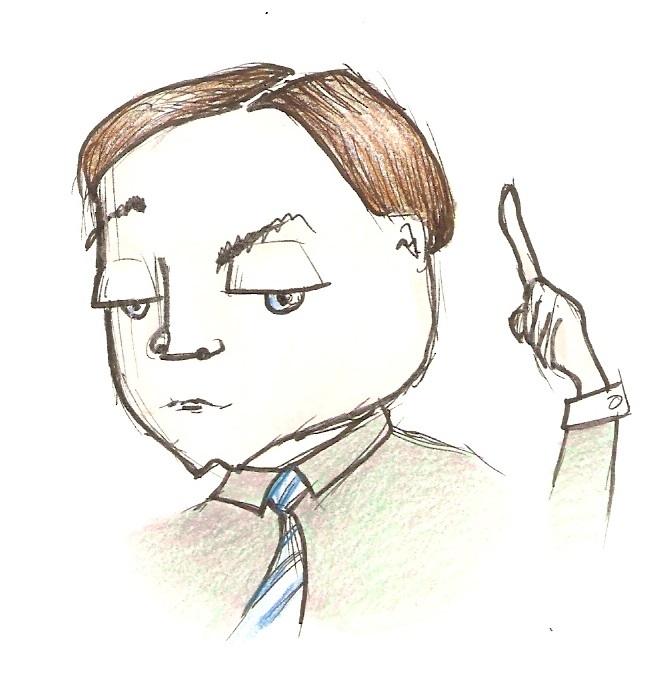 The decision-makers above the expert beginner have no idea how things in his purview work. The organization can tolerate a substantial amount of incompetence from the group. Both of these things prove simultaneously true more often than you might expect. Demand for software has become so voracious that organizations frequently take and make due with whatever they can get. This holds particularly true at the kind of shop that can only scrounge up a few developers on a tight budget. Expert beginners nestle into such comfortable pockets and wallow indefinitely in undisturbed mediocrity. But as organizations cease to staff these roles and start to source them, a subtle change takes place. The relationship extends over the relative gulf of the open market. Competition creeps in more easily, even in sweetheart partnerships. Quietly shopping around to replace a vendor is pretty much expected from time to time. Quietly shopping around to replace your tenured employee is most emphatically not. The above covers many, but not all cases of expert beginners. Many smaller shops have a situation where absolutely no one but the expert beginner understands the tech. And yet, expert beginners also prowl the halls of medium and even enterprise organizations. Surely some people above the line level in these organizations have some understanding of tech. Let’s then refine the expert beginner prerequisites at larger, pyramid shaped organizations. Decision-makers above the expert beginner value something else above maximizing the group’s output. Since I’m teaching the 201 class here, you have some homework. In this post, I define the idealist archetype and in this post I define something called the journeyman idealist. Which one of these describes the expert beginner? Well, they’ll have some variance, but if I had to choose, I’d call him a low-rent, traditional idealist. But let me offer some nuance. You might consider the expert beginner a journeyman idealist with such low value as to stick at the first landing spot. He gradually cedes perspective, the way any idealist does. But he does so not out of a view of the company as a benevolent steward of his interests. Instead, he regards them as the only organization that recognizes his true talent. He’s a failed journeyman idealist converted to a ‘successful’ but tepid regular one. This creates an interesting organizational dynamic. Recall that idealists ‘earn’ their roles by over-performing and prompting the organization’s opportunists to maneuver them into strategic positions like chess pieces. If you feel skeptical, consider this pretty straightforward scenario. Opportunist Oscar, a VP, gets an early sense that decisions made outside of his purview have doomed a major initiative in his purview. In order to set things back on course, he needs an early, scary, visible failure. This will cause those external decision-makers to reconsider. Of course, Ian says yes, and of course Oscar has no actual faith in him. But, what the heck? If he actually pulls it off by some miracle, then it’s a great call. When he doesn’t, Oscar has limited exposure when this “blue chip” appointment blows up, and what blowback he does suffer will be forgotten when the long play of a successful major initiative is realized. Back to the expert beginner. Expert beginners exist in major organizations as slightly more valuable knights to the line level developer pawns. I spend an awful lot of time in the book railing against the pyramid shaped corporation as a terrible structure for managing knowledge work. So, I won’t go into detail about why here. Suffice it to say that I hold this opinion. On top of that, I also believe that software developers have started an exodus from full time positions in pyramid-shaped, non-software companies. This will only accelerate in the coming years. If all of the line level programmers leave, the dynamic changes considerably. In the pyramid shaped company, yesterday’s low level idealists become a new form of line-level knowledge worker: a vendor liaison. How would the expert beginner fare here? Not well! Only the most desperate vendor would accept this sort of micromanagement from an incompetent. He’d either change his game or preside over a real failure, attributable directly to him. Would he leave with the programmer exodus? Not likely. In an agency he would face similar, direct pressure to perform. And recall the immutable requirement of tolerated incompetence. Look, let me be very clear. I’m not suggesting that long-tenured, incompetent know-it-alls will suddenly vacate the corporate landscape. Nor am I suggesting that expert beginners in software won’t continue, like COBOL applications, to exist in remote pockets of the industry. Both will continue. What I am suggesting is a decline in this archetype in the coming years. As software developers extricate themselves from large, pyramid-shaped organizations, we’ll create a sort of seam of value, if you will. Massive organizations represent value black holes. You can observe what goes in and (straining the metaphor a bit) what comes out, but the inside is unknowable. But as we leave and deal with them agency-to-black-hole, we can measure the exchange of value. And, furthermore, small, nimble agencies have a clearer path to valuing individual contributions to the bottom line. If you roll up the prerequisites that I covered, you’ll find that the most fertile ground for expert beginners occurs when no one in a position to value their contributions has reason to bother or the ability to do so. Expert beginners thrive when no one can measure their real contributions (or costs). The expert beginner has been eternally cathartic to write about, but his days are numbered. When software developers control the business of software development, there’s nowhere for expert beginners to hide. The whole world of outside vendors breeds expert beginners like no tomorrow. Especially the whole consulting world, where the profit motive is billable hours. I’m assuming you’re talking about staff augmentation. I view staff augmentation as (1) indistinguishable from W2 employment except for paper work and (2) not where the industry is heading. So, to zoom back out to the topic at hand, I don’t see firms continuing to interact with individuals this way. What I think of as “efficiencer” firms will partner with these companies to solve automation problems, rather than sticking semi-permanent “consultants” into the organization like ticks. I like the entire series. well written and right on point. few years ago I worked in a place with a ‘he should have a senior role’ developer. the guy who knows the 24 sql scripts to run in order to have a working local env ( 24 scripts….automation? no way…). ran away from that place after few months. Glad you like. It definitely seems to have resonated with a lot of people, presumably because we all have battle stories from run-ins with expert beginners. That’s interesting. Off the cuff, it seems like it probably fits with the model in my head. I think the only question would be whether they regarded themselves as experts in the field. In other words, they were probably expert beginners, but they could also have just been incompetent employees, faking it as best they can to earn a paycheck. To be an expert beginner, you have to think of yourself as far more competent than you are as a result of stumbling your way into positions of authority. There’s always going to be groups where incompetence is tolerated. In part because the leaders don’t want their own incompetence to be revealed. I wouldn’t argue with that sentiment at all. My hope is that it becomes increasingly fringe when there are less ways and places to hide.